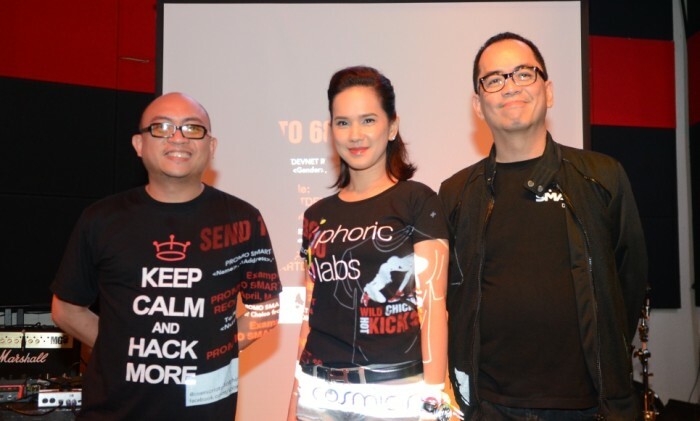 Smart Communications last month partnered with Youphoric Labs to launch the country’s first free web tool allowing users to start SMS-based campaigns with little or no programing experience. Called the Youphoric SMS API, (application programming interface) it allows developers and even non-programmers to create SMS apps, which send and receive messages to and from Smart, Sun and Talk ‘N Text subscribers. These include subscriptions, hosting trivia contests, notifications, customer service, information on demand, polling, coupon subscriptions, coupon pulls and promos. In a statement, Smart said these services and the SMS apps that enables them, which usually take over a month, can now be done in minutes. “Through this innovation, it will take just a few moments for anyone in the Philippines to launch their own campaigns and create an immediate feedback mechanism as well. It also allows people who use the platform the ability to monetize the services they create,” said Smart developer evangelist Paul Pajo. Those who intend to launch SMS-based promos, however, will still need to get permits from the Department of Trade and Industry, according to Smart. “Startups, blogger, and even students who don’t have much budget and you don’t have to code can now connect with their target market via ubiquitous mobile phones,” said Jim Ayson, Smart senior manager for partner management and developer relations. “We’ve taken the bite out of setting up and running an SMS service, making it accessible to everyone,” Anne Jacobe, founder of Youphoric Labs, adds. Almost 85% of respondents acknowledged that privacy is integral to building customer trust, and more than just legal compliance. ..
"Makes you want to visit because posters like these give the impression of a city of warmth and humour," commented one of the neti..